The equipment to detect indocyanine green (ICG) fluorescence for sentinel lymph node (SLN) biopsy in breast cancer is not widely accessible nor optimal. The fluorescence appears as a poorly defined white shine on a black background, and dimmed lighting is required. 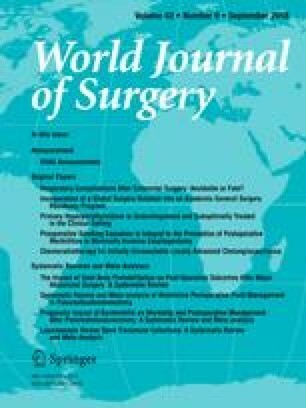 The aim of this study was to assess the feasibility, accuracy and healthcare costs of a novel approach for SLN biopsy by a video-assisted ICG-guided technique. The technique for detecting SLN was radioisotope (RI) in 194 cases, video-assisted ICG-guided in 70 cases and a combined method in 71 cases. In the video-assisted ICG group, a full HD laparoscopic system equipped with xenon lamps was used for a laser-free detection of ICG within a colored and magnified high-resolution image. Detection of ICG fluorescence using a laparoscope with a near-infrared filter provided a highly defined and colored image during SLN biopsy. SLN was identified in 100% of patients in all groups. Multiple SLNs were identified in 0.5% of RI patients, in 12.9% of ICG patients and in 14.1% of ICG + RI patients (p < 0.0001). In ICG + RI group, 95.1% of lymph nodes were radioactive and 92.7% were fluorescent. Operative times and healthcare costs were equivalent between groups. Video-assisted ICG-guided technique is a feasible and surgeon-friendly method for SLN biopsy, with equivalent efficacy compared to RI, providing an accurate staging of the axilla. This research did not receive any specific grant from funding agencies in the public, commercial or not-for-profit sectors. All the authors reported no acknowledgements. All the authors reported no conflict of interest.